Hi there! 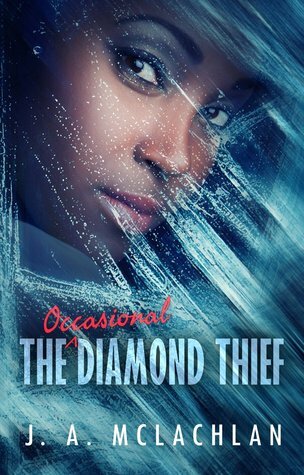 Today I’m sharing in the blog tour of JA McLachlan’s THE OCCASIONAL DIAMOND THIEF. This YA SciFi adventure is a well-written tale about a girl who makes the best of the worst in her life–her lack of family and love. You can check out other stops on the tour here for even more good stuff including excerpts, reviews, vlogs and author and character insights. Make sure to drop down and get in on the giveaway! What if you learned your father was a thief? Would you follow in his footsteps, learn his “trade”? If you were the only one who knew, would you keep his secret? When 16-yr-old Kia is training to be a universal translator, she is co-opted into traveling as a translator to Malem. This is the last place in the universe that Kia wants to be—it’s the planet where her father caught the terrible illness that killed him—but it’s also where he got the magnificent diamond that only she knows about. Kia is convinced he stole it, as it is illegal for any off-worlder to possess a Malemese diamond. Using her skill in languages – and another skill she picked up, the skill of picking locks – Kia unravels the secret of the mysterious gem and learns what she must do to set things right: return the diamond to its original owner. Kia is quirky, with an ironic sense of humor, and a loner. Her sidekick, Agatha, is hopeless in languages and naive to the point of idiocy in Kia’s opinion, but possesses the wisdom and compassion Kia needs. This an interesting SciFi YA adventure, and I loved that it features a MC of color. The worldbuilding is cool, too. Kia is a native of the dry arid planet Saffara. He father owns a tradeship, and has mastered many languages in his role as captain, but he’s been ill since he returned form a far-flung rescue mission to Melam, twelve years ago. In his fever dreams he speaks Melamese, and Kia learns this language in order to help her father–only it has the opposite effect: hearing the language makes him distraught and on his death bed he confesses the location of a rare treasure–a Melamese diamond he is forbidden to possess. On Melam the diamonds are a personal treasure, passed only to an infant from his/her parents. An Off-worlder caught with one would be executed. Kia believes her father stole this diamond, and she begins to “steal” other jewelry to pawn for money to go to language school. She is determined to get the heck away from her emotionally-distant mother, but ends up stealing more in order to provide for her mom when a medical emergency arises–which puts Kia smack into the grasp of the religious Order of Universal Benevolence. Agatha, a Select of the OUB, is a confidante and peacemaker of this intergalactic organization, one charged with brokering and assisting peace. She is also trained to seek the truth in all situations. Agatha encounters Kia in the midst of a theft, and encourages her…to make more benevolent choices. Still, it is Kia who is chosen to accompany Agatha to Melam, site of her father’s illness and the planet where she will undoubtedly be killed if they discover her father’s Melamese diamond. Oh, and the Melamese are supremely distrustful of Off-worlders ever since factions from a neighboring planet deliberately unleashed a virus that decimated their population–the same virus that afflicted Kia’s father. Melam is a cold, wet, gray world–nothing like sunny Saffara–and Kia never plans to stay with Agatha when they arrive. I really enjoyed the banter between Agatha and Kia. Agatha’s a bumbling language learner, and Kia’s desperate not to be killed by her faulty phrasing. Observing the Friday afternoon Justice on their second day on Melam–including a mutilation for theft and a beheading for treason–Kia is even MORE freaked out. But the queen has taken notice of her, and the High Priest has taken notice of the the queen’s notice. Yep. We got a classic power struggle on Melam. While Agatha seeks to guide the Melamese past their grief, Kia is the girl in the middle–and often in the middle of a cozy cell. She does manage to make some important friends who help her get free, and Kia directs the bulk of the action, which was great. She’s not the most likable character, but she is honest…for a thief. Her skills as a safecraker/lock picker come in handy quite often especially while saving sick children, and the daring Agatha. The pace of the book was a bit slow, at first, but really picked up steam as the ship landed on Melam and both Agatha and Kia were embroiled in the political stew. There are elements of a romance, but no love story. Expect double-crossing priests, courageous Melamese, a bitter queen, and a stalwart Select whose skill at interplanetary relations far outshines her fluency in Melamese. Kia was great, and I did enjoy her. She is comfortable in her outsider role, yet broke through and made lasting connections to people who believe she matters. The story ends, but it’s clear the door is open to another Kia-Agatha buddy tale. Interested? You can find THE OCCASIONAL DIAMOND THIEF on Goodreads and Amazon. EDGE Publishing has a Thank You gift for anyone who buys the print version of the book. If they send an email to events@hadespublications.com with their Amazon receipt, they will receive a copy of a short story that features Kia. Click on the Rafflecopter link below for your chance to win a $10 Amazon giftcard. J. A. McLachlan was born in Toronto, Canada. 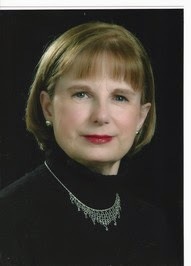 She is the author of a short story collection, CONNECTIONS, and two College textbooks on Professional Ethics. But speculative fiction is her first love, a genre she has been reading all her life, and The Occasional Diamond Thief is her second in that genre, a young adult science fiction novel, published by EDGE Science Fiction and Fantasy Publishing. After over a decade as a college teacher, she is happy to work from home as a full-time author now. You can find Jane online on her website, Goodreads, twitter, and Facebook.